Allergy friendly cooking and baking can be frustrating, right? It’s so easy to get into a rut with the same old safe ingredients. Another night of chicken and veggies or a frozen dairy free pizza just doesn’t sound that exciting after a while. But what can you do? It’s tricky to find safe recipes that work for your family. 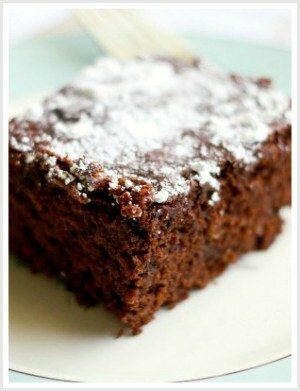 You can search the internet, scouring websites for recipes that are allergen free and delicious. It may take hours, and lots of trial and error before you find recipes that you love and that work for you. What if you had a real cookbook that actually worked for your family’s dietary needs? A print cookbook…one that sits on your kitchen counter, ready for you to thumb through and find a new recipe to make for dinner. A collection of recipes that you love…that your whole family loves. Recipes like curried lentils, cheesy noodles with veggies, chocolate cupcakes, and honey mustard chicken. 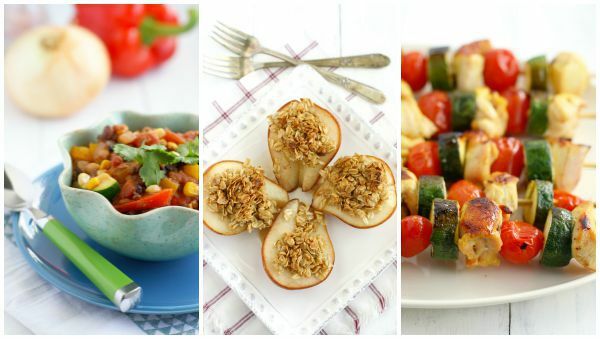 Tasty, satisfying recipes that will work for your food allergy needs. Family friendly recipes that will have your children running to the table – eager to eat, enjoying every bite, and telling you how much they love your cooking. If you prefer to order an actual book rather than ebooks – this is the cookbook for you! Simply Delicious Allergy Friendly Recipes contains 87 recipes – recipes that are tasty, easy, and family friendly, AND are now available in paperback form. If you purchase these four ebooks, they would cost you $36. 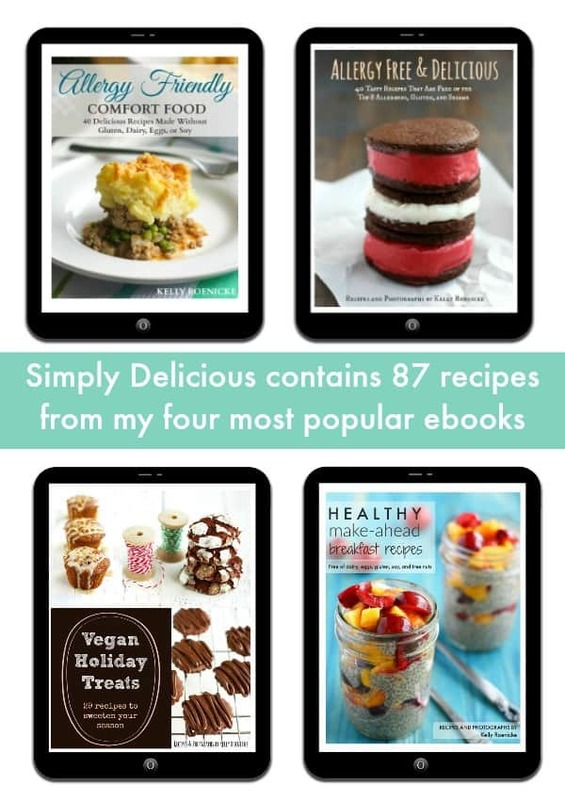 Simply Delicious contains the best recipes from these ebooks – all of them gluten free and top 8 allergen free. 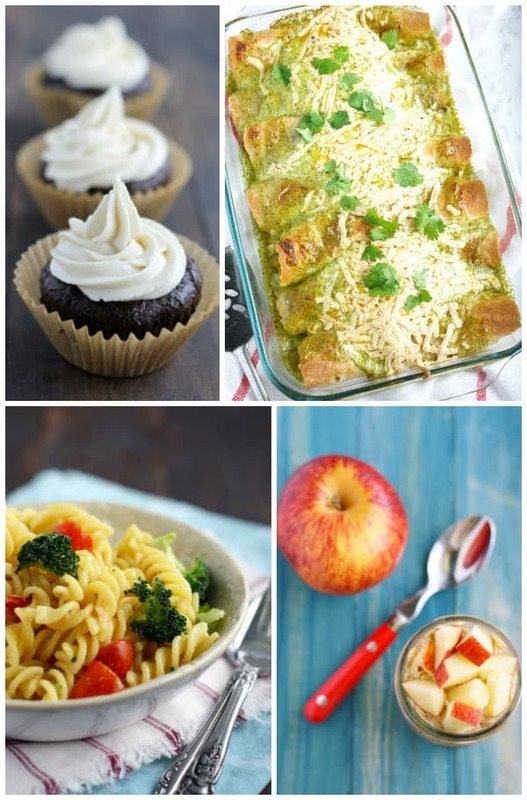 What will you find in Simply Delicious Allergy Friendly Recipes? 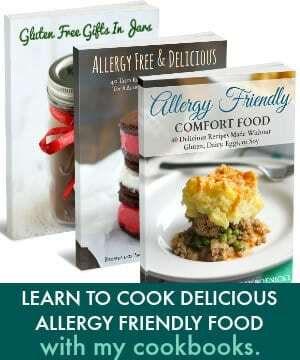 Recipes taken from my ebooks: Allergy Friendly Comfort Food, Allergy Free and Delicious, Healthy Make Ahead Breakfast Recipes, and Vegan Holiday Treats. 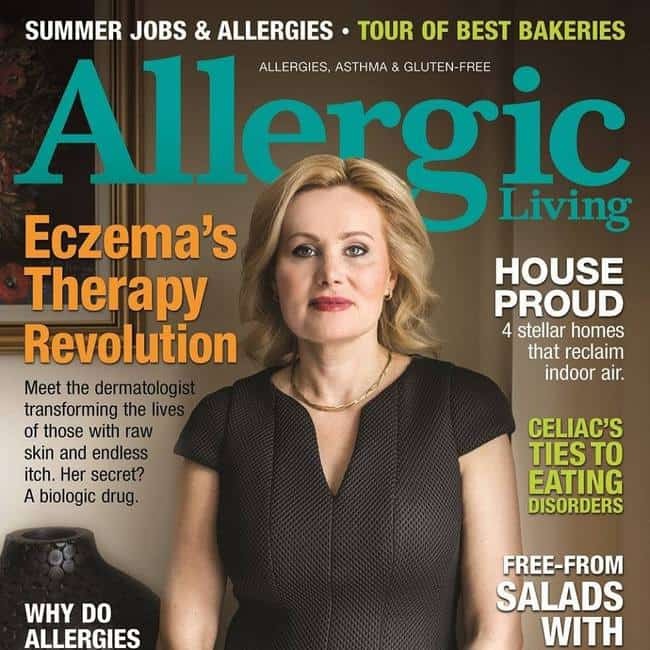 Recipes that are free of the top 8 allergens and sesame. Simple, delicious recipes, each with a full color photograph. A list of must-have allergy friendly pantry items. Maybe you’ve just started your allergy friendly cooking journey. Maybe you’ve tried a few recipes and found that they just didn’t taste the way you wanted them to. 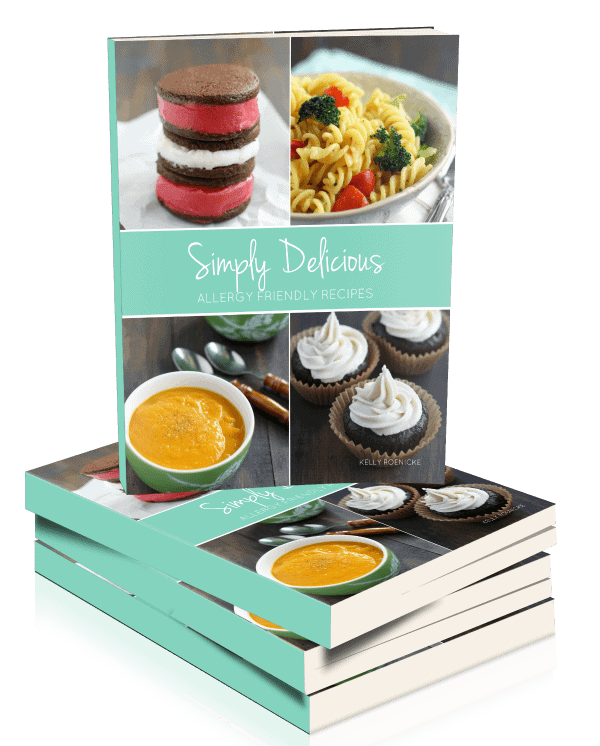 Simply Delicious Allergy Friendly Recipes is full of tasty recipes that you and your family will love. If you like comfort food like pasta, shepherd’s pie, cheesy popcorn, and chocolate sandwich cookies, this is the book for you. If you like lighter fare like quinoa salads, veggie chili, roasted sweet potatoes, and healthy breakfast options, this book is also for you. This print cookbook is perfect for those who are new to allergy friendly cooking, and for those who are seasoned veterans, but are looking for some inspiration. It’s also just right for those who don’t love ebooks, and would rather have a printed cookbook to read and also make notes in. Simply Delicious Allergy Friendly Recipes is now available – click the button below to learn more and order your copy today. The pages are abuzz with time-tested, family-friendly recipes and appealing photos. Among colleagues, Kelly is considered a queen of gluten-free and top allergen-free eats. But in this cookbook we see a devoted mom reaching out to share warm hugs of good food. 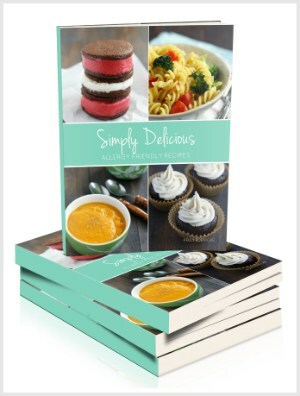 Get your copy of Simply Delicious today and start cooking and baking delicious allergy friendly food!